The name "Geronimo" came to Corine Sombrun insistently in a trance during her apprenticeship to a Mongolian shaman. That message and the need to understand its meaning brought her to the home of the legendary Apache leader's great-grandson, Harlyn Geronimo, himself a medicine man on the Mescalero Apache reservation in New Mexico. Together, the two of themthe French seeker and the Native American healerwould make a pilgrimage that retraced Geronimo's life while following the course of the Gila River to the place of his birth, at its source. Told in the alternating voices of its authors, In Geronimo's Footsteps is the record of that journey. 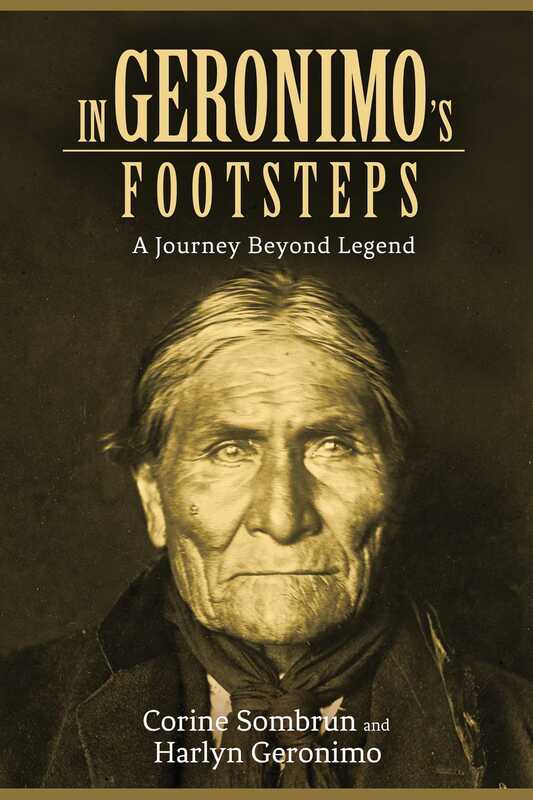 At its core is an account of Geronimo's life, from his earliest days in a Chiricahua Apache family and his path as a warrior and chief to his surrender and the years spent in exile until his death, at Fort Sill, Oklahoma. Recounted by his great-grandson, his story is steeped in family history and Apache lore to create a portrait of a leader intent on defending his people and their land and traditionsa mission that Harlyn continues, even as he campaigns to recover his ancestor's bones from the U.S. government. Completing Corine's circle, the book also explores the links, genetic and possibly cultural, between the Apache and the people of Mongolia.